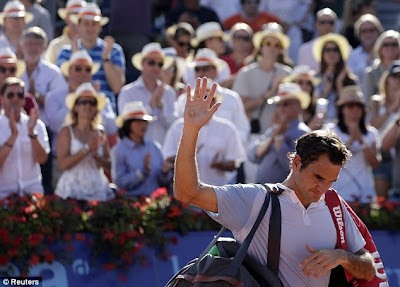 Top seed and home favourite Roger Federer suffered an early exit from the Credit Agricole Suisse Open as big-hitting Daniel Brands powered his way into the quarter-finals. Germany’s Brands needed only 28 minutes to rattle six aces past Federer on his way to taking the first set 6-3 and he quickly went a break up in the second before the Swiss rallied. The shotmaking Federer saved four break points while sneaking four games onto his card but his relentless opponent smashed five more aces into the backboard to clinch a 6-3 6-4 win in little over an hour on the Gstaad clay. 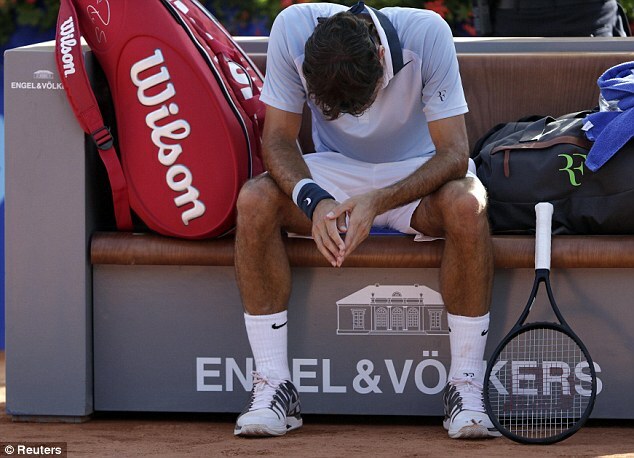 Brands, who took a first-round set from Rafael Nadal at this year’s French Open, has a burgeoning reputation as a tricky customer on the ATP Tour and last week he forced 17-time grand slam winner Federer into a third set at the German Open. The 26-year-old from Deggendorf will now face Victor Hanescu in the last eight after Roberto Bautista Agut of Spain retired hurt when trailing the Romanian 7-6 (7/2) 3-2 earlier today. 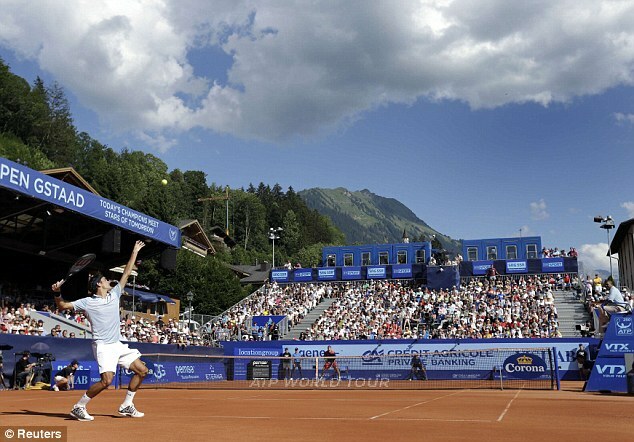 The winner will face either Juan Monaco or Mikhail Youzhny in the semi-finals. In the other half of the draw is Robin Haase, who needed a little over an hour on clay to beat third seed Janko Tipsarevic 6-2 6-2. 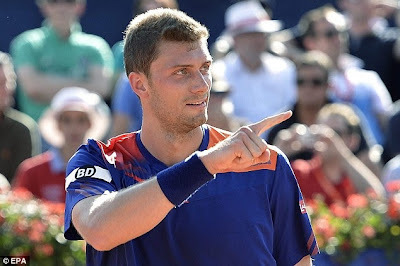 The Dutchman was dominant on his first serve while racing to a 5-1 lead in the second set against Serbia’s Tipsarevic, but the former US Open quarter-finalist rallied to survive four match points and force another game. Haase powered through to win 6-2 6-2, however, and he will face Marcel Granollers in the last eight. The Spaniard held his nerve to beat surprise German Open finalist Federico Delbonis, the Argentinian slumping to a 6-2 7-5 defeat four days after losing to Fabio Fognini in Hamburg. Second seed Stanislas Wawrinka and Feliciano Lopez will battle it out tomorrow to earn a shot at the Dutchman.